The difficulty that the senior population has in finding an adequate amount of money to fund retirement is an issue that is only growing in scale, and the reverse mortgage industry needs to keep the unique hardships faced by seniors fully in mind when advising them on how best they can make ends meet. 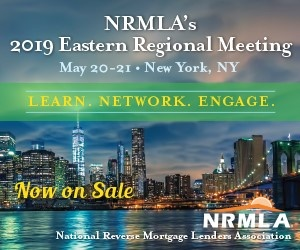 This was a perspective shared by Dr. Eddie Seiler, VP of research and economic analysis at Dworbell, Inc., management company of the National Reverse Mortgage Lenders Association (NRMLA). Dr. Seiler gave a presentation to reverse mortgage professionals in late March highlighting the state of the United States economy both at-large and from the perspective of seniors at the NRMLA Western Regional Meeting in Huntington Beach, Calif. Shortly after his presentation, RMD sat down with Dr. Seiler to briefly unpack the economic issues faced by seniors, and what impediments exist for adequate retirement funding. Many of the financial problems seniors face in retirement stem from the key source of wealth many share, Seiler says. Even for those families who are well-invested, home equity could be an important tool should there be a market downturn. Seniors who look at their full catalog of assets may often find that they simply don’t have enough assets to sustain them through a full retirement. While the reverse mortgage industry continues to try and find new ways to innovate the incorporation of home equity into sustainable retirement plans, Seiler finds optimism in both proprietary reverse mortgage products and other tools that have emerged that allow for the leveraging of home equity. In terms of shared equity products specifically, the fact that they make up a much smaller share of the home equity tapping space when compared directly with reverse mortgage products means that it will likely take them more time to gain steam among retirees. Read the details of Dr. Seiler’s presentation.